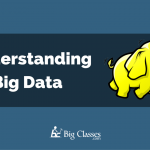 Are you planning to analyze big data in Hadoop framework? If so, there are some points, which you need to be aware of, first. More firms are now recently working on the analytics of modernized technologies, which force various new technologies to come together and form the current analytic Hadoop ecosystem. Whenever you are planning to opt for a new technology, some questions might be popping up in your mind. 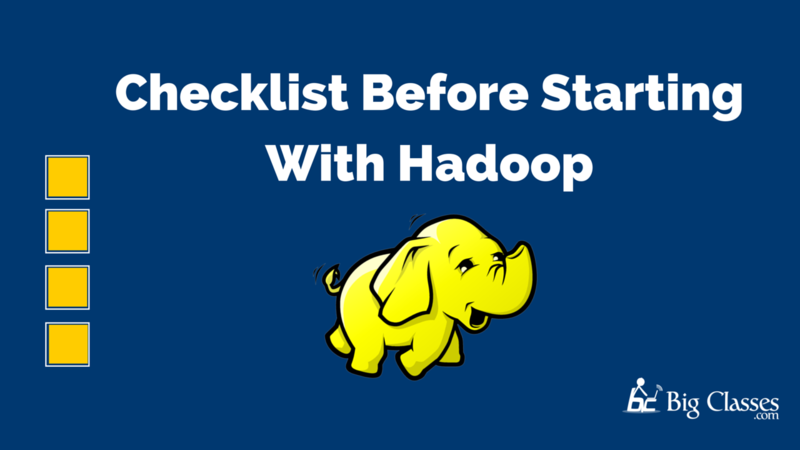 In case, this is the first time with Hadoop, you need to prepare with the data preparation sector first. On the other hand, utilizing Hadoop can help in affecting the visualization and other types of analysis. But how? It is vital to make a checklist of your own, before you proceed further to know more about the analytical techniques and modern inventions in this sector. 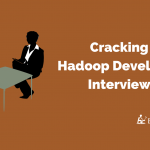 There are some significant checklists available, which help in answering various questions on Hadoop. 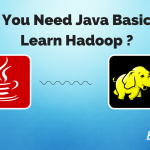 But before any of those points, it is important to know more about Hadoop first. This platform comprises of two significant components. The first one is termed as HDFS or Hadoop distributed file system, and the next one is termed as processing unit. The second one is used for distributing data in the chunks, and this procedure is termed as map reduce. Hadoop is also known for its inexpensive solutions, for processing and storing big data, mostly in the unstructured or semi-structured versions. There are some significant limitations to the present Hadoop structure, whenever the main aim is associated with advanced analytics. This is the main reason to build a larger ecosystem, which comprises of advanced connectors and tools. The primary aim of in-memory analytics is to process mathematical and data computations in the current RAM, other than on disk. It helps in the time-consuming I/O procedure. There are some other forms of analytical techniques, which are associated with this sector. Some of those options are data mining, advanced statistics, text mining, machine learning and recommendation systems. These sectors are going to receive benefit from the current in-memory processing. On the other hand, this improvement sector further comprises of faster analytical rate along with improved interactivity with present data. Map reduce might not always be suitable for the present iterative analytics. As map-reduce is not always suitable, therefore; most of the vendors are currently offering in-memory processing for this Hadoop framework. 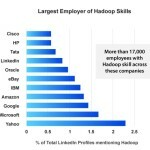 During maximum instances, these processing sectors sit just outside the current Hadoop sector. 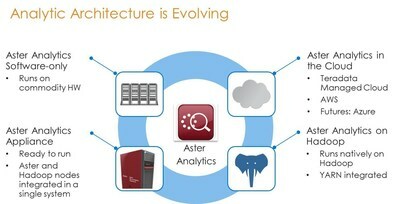 Most of the vendors lift this data from Hadoop and put in-memory engine for iterative analysis. You can easily explore data and gain new insights in this sector. You can use data as the major part of data preparation. It can further work as an insight discovery. In case, you are planning to perform simple forms of visualizations or trying to use descriptive statistics for identifying variables, you better look for advanced analytic scale. You might even have to look for the vendors, practically offering you with great functionality for visualization, querying and even in descriptive statistics. During most of the instances, big data analysis structure need the help of accurate analytic techniques. It required effective data preparation and exploration for determining interesting variables, like missing values, predictions, data transformations, and outliers. You might have to get in touch with a different mindset while working on the data warehousing, used for reporting. Here, the data remains predetermined. The mainstay of such data integration and preparation remains, like the metadata or data quality. Nowadays, there is no such limitation on the various forms of data analytics, thanks to the in-memory processing and big data innovations. In case, you are willing to work on more sectors other than simple descriptive analysis, you have to start developing a program first. This program must comprise of text mining, data mining, and machine learning. Some of the noteworthy applications take help of cases, which must deal with classifications, pattern detection, optimization, prediction and even recommendation. Most of the data within cluster Hadoop is none other than text data. HDFS is the current file system, which is used for storing unstructured and semi-structured data. The main way to enjoy benefit is by using data to your advantage, by creating a relationship with the customers and operational needs. Some of the companies ensure to write customized codes, for extracting information from text data. Other companies use commercial text analytics, which further comprises of statistical techniques and even language processing. The main purpose is to extract and form structured text data. It needs to be combined well with the current structured data and used in an advanced form of analytics techniques. The main structure is termed as predictive modeling. You can always provide a substantial lift to the models, after going through the available options. You will be able to create business value from the current big data analytics. It can be done only if you can integrate the current model results into present business processes. It helps in improving the present decision making. For any kind of analytical project, this seems to be a critical step. The effective means of operationalizing predictive analysis is integrating the chosen models inside the operational data store, directly. 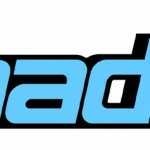 This technique is mainly termed as “in-Hadoop scoring.” Whenever any new data enters Hadoop, this stored modeling scoring files are used by map reduce. It helps in running the scored model and generates some effective results. People dimension needs to be important as in technologies, used for extracting values from Hadoop. 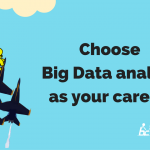 You might have to take help of talents for creating successful big data analytic structure. The main role which people are looking for right now is a Data Scientist. If you want to bag the same job role, then you might have to process necessary skill sets for analyzing, processing, communication and operating complex data. Moreover, they must have the right mix of technical and computer skills.